Mortgage Investment Corporations (“MICs”) are special entities allowed under Section 130.1 of the Canadian Income Tax Act (the “Act”). MICs allow individuals to pool their funds and invest this capital in mortgage loans, benefitting from the risk mitigation provided by a large, diversified portfolio. The Act requires that 100% of a MIC’s annual net income, as verified by external audit, be distributed to its shareholders by way of dividends. These dividends are taxed as interest income in the investors’ hands and essentially represent a flow-through of the interest earned by the MIC’s mortgage portfolio. These dividends can be taken in cash or re-invested in new shares of the MIC in accordance with its dividend reinvestment policy. In exchange for an administration fee, a professional management company performs the day-to-day administration of the portfolio. 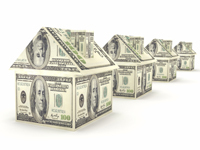 Investing in private mortgages can provide investors with a stable source of income. However, participating in the private mortgage market as an individual investor can be complicated, and may present a number of obstacles. First, due to their average size, sourcing and issuing, residential mortgages presents a barrier to entry for many investors. Second, mortgage investing requires strong underwriting skills, as well as effective mortgage administration experience. In the event that an investor is capable of sourcing and properly administering the loan, their rate of return is reduced if they cannot reinvest mortgage payments and payouts quickly and efficiently. Lastly, investing in mortgages typically requires large amounts of capital to build a diversified portfolio to effectively mitigate risk. The MIC structure facilitates investment in this attractive asset class by significantly reducing barriers to entry and mitigating risk. Security – Mortgages purchased by the MIC are secured by real assets. Deferred Income Plans – Investment in a MIC is considered a qualified investment and can be held in a number of registered savings plans (RRSP, RRIF, TFSA, RESP, and deferred profit sharing plans). Diversification – Investors own shares of a diversified portfolio of mortgage loans, thereby mitigating risk. Regular Income – Investors can choose to take their dividends in cash or re-invest them into additional shares in accordance with the MIC’s Dividend Re-Investment Plan. Professional Management – Mortgage Company of Canada’s management team has been in the mortgage lending, brokering and real estate development business collectively for over 40 years. Niche Market Focus – Primarily lending in residential communities in the Greater Toronto Area where residential real estate demand exceeds supply. Conservative Valuations – Mortgage Company of Canada lends at a discount to appraised values determined by third-party best-in-class appraisal companies. Disciplined Approach to Lending – Insulating against housing price drops by limiting Loan-to-Value (“LTV”) ratio to 80% or less. Risk Mitigation through Portfolio Diversification – Creating portfolio diversification by providing a high volume of small value loans. Liquidity – Investing in short-duration loans (average loan duration is 12 months). Affiliated Mortgage Brokerage Arm– Affiliated 13-year-old mortgage brokerage ensures a high-volume of potential investment opportunities.